7th Annual SCBC Fall Bass Classic A Success! 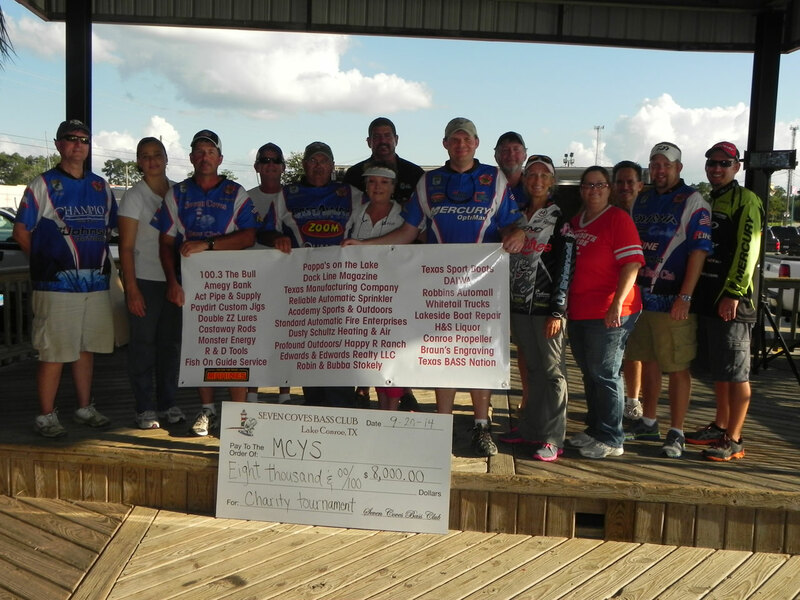 The 7th Annual Seven Coves Bass Club Fall Bass Classic benefiting Montgomery County Youth Services – Bridgeway Shelter was a great success! 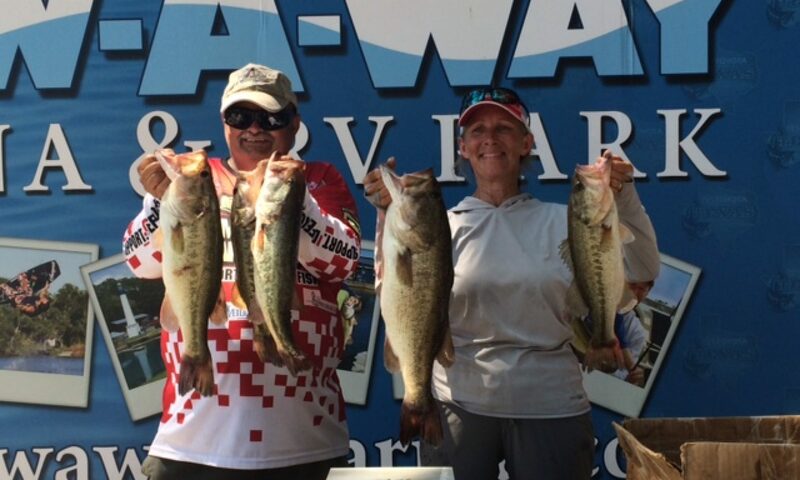 We had 48 angler 2-man teams that fished a post-monsoon Lake Conroe due to the 5 inches of rain the night before. Saturday morning before angler take-off, SCBC member Terry Reed led us in prayer, followed by Ms. Jordan Knight as she proudly sang the National Anthem. With temperatures in the high 60’s and a 10 mile an hour east wind, the anglers were ready to take off from Papa’s On The Lake. At 6:50 AM the 1st boat was released for the first flight with the 2nd flight taking off at 7:05 AM. The first flight was due in at 3:00 pm. Raffle ticket sales opened at noon to a large crowd. Due to the support of the local community and businesses, we were blessed by a large array of raffle & live auction items. 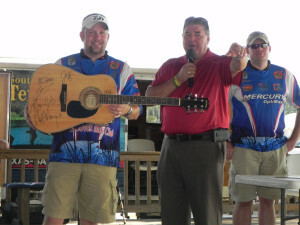 Those items included CastAway rods, Profound Outdoor tackle packs, coolers, gift cards to local businesses, and even an autographed guitar signed by the Zac Brown Band! (for a full list visit (www.sevencovesbassclub.com/classic). Derek Taylor also presented the winner of the early prize drawing of the Daiwa Tatula rod & reel to the angler team of Jesse Thornton and Bobby Del Monaco. The MCYS kids were on hand at the weigh-in and assisted with getting the fish back safely back to the water. After the scales closed, SCBC member and retired Marine, Ron Kost, presented a check from the Marine Corp League for $1,500. Another member, Mark Brenckman, then presented a donation of $500 from Amegy Bank. SCBC members Jeromy Francis and Gwen Reed gave the kids from MCYS boat rides in their Legend bass boats; the kids had a blast! In the end we had $4,640 in angler paybacks, and raised over $8,000 for Montgomery County Youth Services-Bridgeway Shelter! We would like to say a special thank you to the Texas B.A.S.S. Nation Southeast Region for sanctioning the event and providing the tournament equipment. Again, thank you to all of our anglers, sponsors, volunteers, and especially our raffle & live auction buyers, who helped make this year’s Fall Bass Classic a success! Previous PostPrevious 7th Annual Fall Bass Classic – September 20, 2014!